Julius Erving Dunks Twice Over Kareem Abdul-Jabbar: 1980 NBA Finals Game 5. Added: April 5, 2012 (over 2 years ago) ... Julius Erving dunk at 63 years. 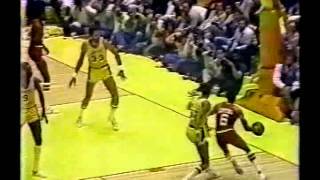 Kareem Abdul Jabbar - Vintage NBA (Basketball Documentary)Kareem Abdul-Jabbar (born Ferdinand Lewis Alcindor, ... Abdul-Jabbar twice was voted NBA Finals MVP.